While I feel like I've spent countless days in trainings over the past 8 months (wow has it really been that long?! ), this week was special. Last Monday, I left village with two kids and a homologue to participate in a week long training for Amour et Vie, a peer educator program sponsored by the international NGO Population Services International (PSI). The goal of Amour et Vie is simple: train motivated youth to serve as community health educators. While the program targets descholarized youth, those who have dropped out of school to pursue trades such as seamstresses and moto drivers, the team can act as agents of change on a community scale. The implementation of Amour et Vie started in early January, when I selected four girls and four boys from Adourekoman to interview for the two positions of peer educator on the team. The interviews consisted of presenting themselves to assess public speaking, singing a song to evaluate their ability to animate and asking health questions to have a baseline for their current knowledge level. I was really excited that Joseph and Elisabeth stepped up to the plate and were even more enthusiastic for the program than I was! On Monday, we traveled together to Bohicon, crammed in the back of a taxi, laughing together as we were covered in red road dust because the car had no windows. Training kicked off with multiple ice breakers and then shifted to discussions about how to talk about health. Both kids (I say kid but they are both 16) participated by asking insightful questions and I was so impressed by their notes and dedication. Over the week, we covered a range of topics, from HIV/AIDS and family planning to hygiene and Lassa fever. By Thursday they had sat through countless hours of informational sessions and even I was checking out. But, they maintained attentive and when they were assigned to give a presentation about family planning and contraceptive availability in Benin, they wrote out a plan and practiced it, asking questions and using cheers and images to relay the information. Yesterday, our team went out to the field and did our first health lesson. I was so impressed with my kids ability to navigate a somewhat taboo subject (family planting) and their maturity as they discussed the advantages and disadvantages of birth spacing. They even chose to do a condom demonstration and got me to do a cheer in Idaasha covering proper condom usage. Our team was cohesive, excited and poised. As a Volunteer, my goal here is to promote sustainable development. To do capacity building exercises and support education that will last far longer than my two years here in Benin. 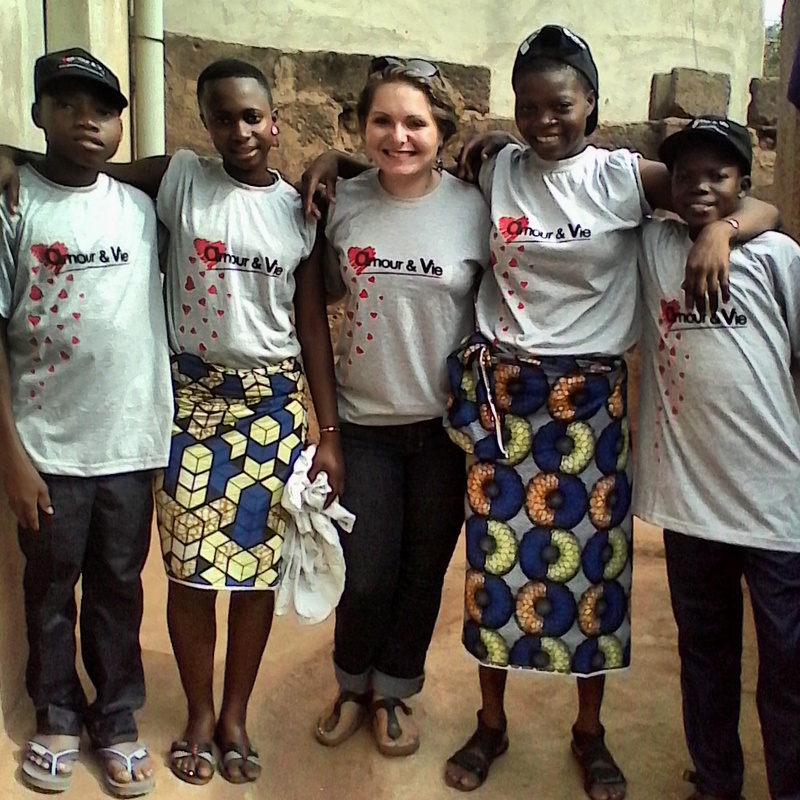 Sitting in a room of young Beninese, eager to change the health and behavior in their communities, was remarkable. These kids are the future of this country and the key to progress in Benin. I'm leaving this week with renewed hope and an overwhelming sense of pride. Its these moments that remind me why I'm here. The Amour et Vie teams from Bante (left) and Adourekoman (right) after our first sensibilization! 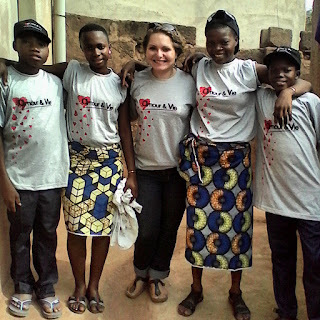 Amour et Vie's motto is "Les jeunes qui guident le monde," or the youth who lead the world. The message is clear. Our legacy rests in the hands of these kids and I can attest that they are ready, they can be the change we need to see in the world.